Q How do I sign up to be a referee? A To sign up to be a referee please click here. Q Who can be a ref? Q Why become a ref? A You love the game of lacrosse and you can earn money while participating. It is also a fun thing to do and you will be giving back to the game. Oh ya, you may even find it helps you become a better player! Q What do I have to do? A It’s easy! Sign up. 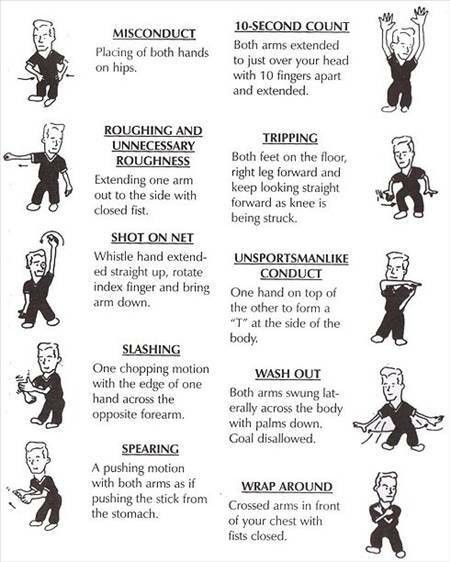 You will need to take a referee clinic but the association will take care of this for you. 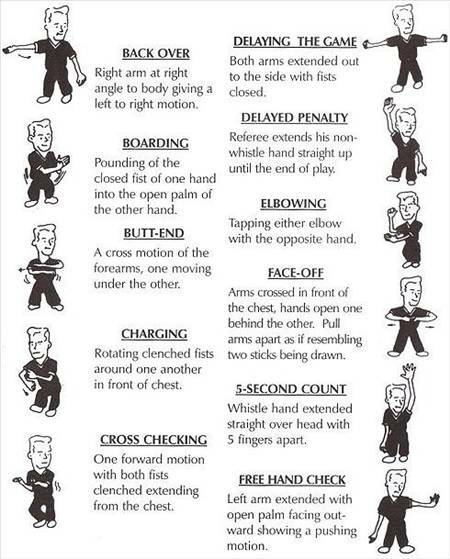 You also have to be available during the season to commit to refereeing lacrosse. The association will pay for the clinic as long as you referee a minimum of five games during the season. Q When are the clinics? Q Lets talk money. How much can I make? A That depends on what level you ref but beginner refs will make $30 per game refereeing Novice games. Peewee Games $35, Bantam Games $40 and Midget games $50. Q What equipment do I need? Q Who do I contact for more information? 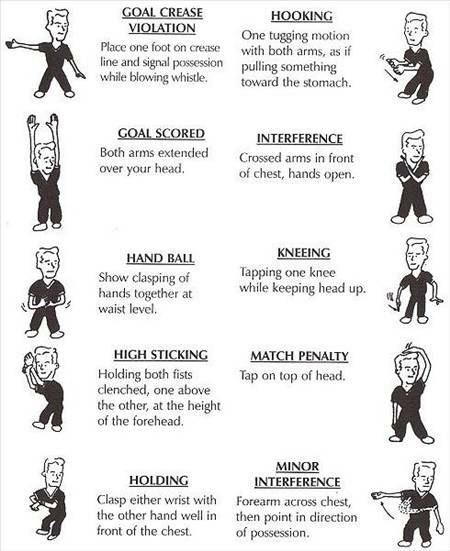 Q What are the signals the referee's use?